Diesel Particulate Filter 07-08 Dodge RAM 2500/3500 09-12 Ram 2500 6.7 LIter Diesel Stainless Steel Case. 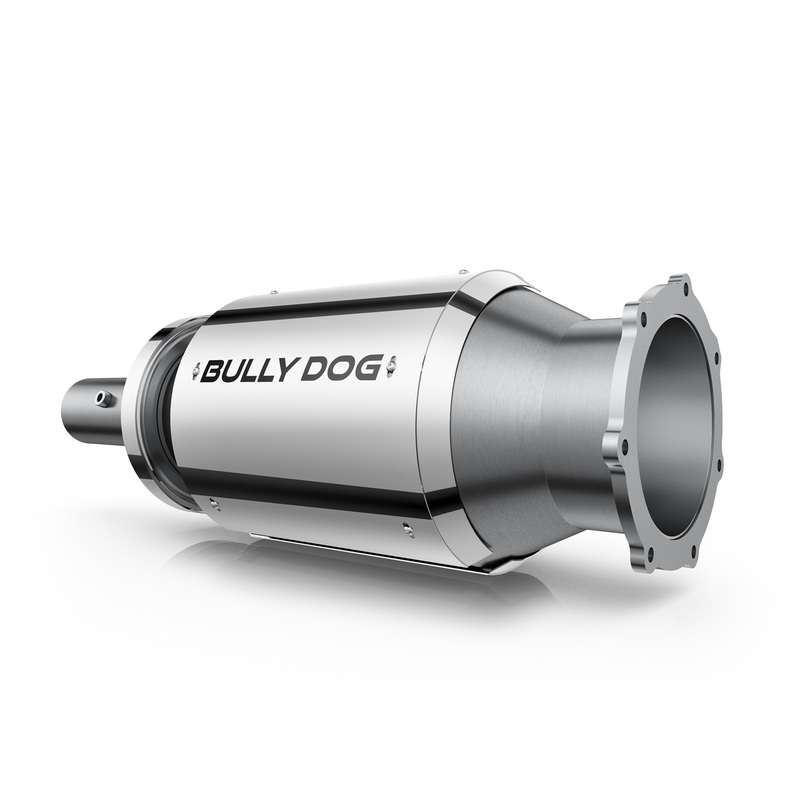 Bully Dog's new Performance DPF is the industry's first emissions-compliant aftermarket stock replacement, featuring a high-quality all-stainless steel construction and a high-tech proprietary coating. 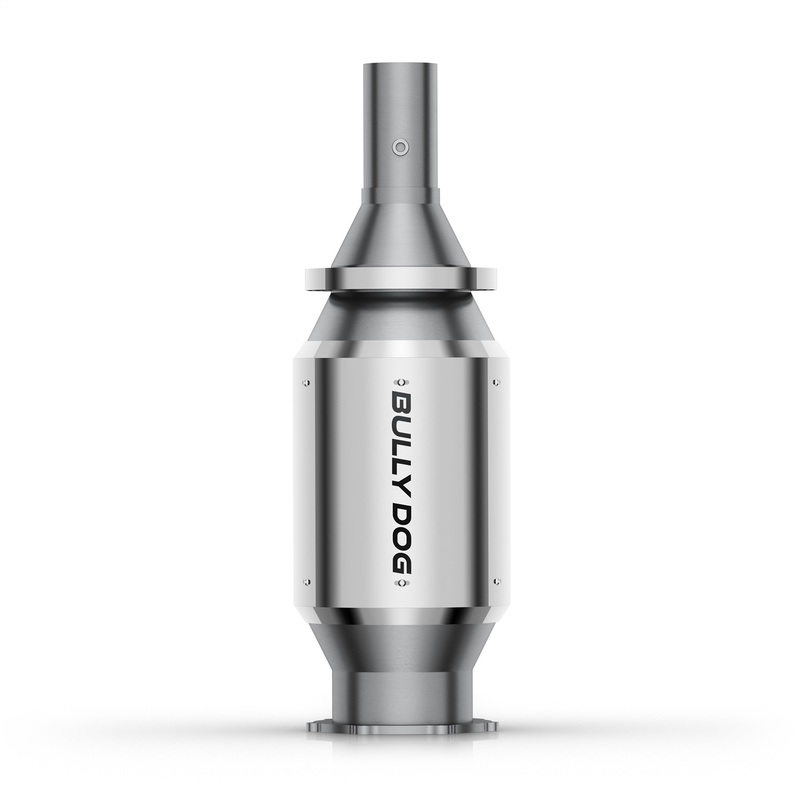 The DPF's high-flow design is flow bench-tested to increase air flow by up to 21 percent. 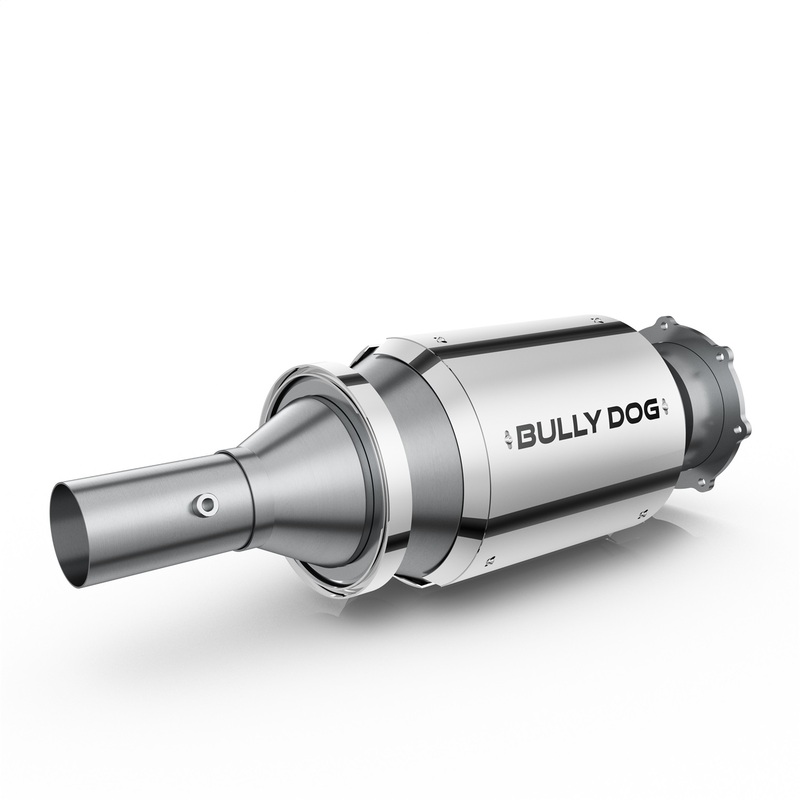 Realize measurable increases in flow and thermal performance with the Bully Dog Performance DPF alone, or go for horsepower and torque gains by pairing with a Bully Dogtune, available through our GT Gas or BDX gauge tuners and handheld programmers. The Performance DPF also slows soot accumulation, reduces EGTs by up to 12 percent, and reduces backpressure by up to 44 percent. Our advanced design offers fewer regenerations and keeps your diesel at peak performance between regen cycles. To alleviate the maintenance challenges that owners face with DPFs, the Performance DPF is designed to be accessible and fully serviceable much different than a stock DPF. Cleaning and servicing is a breeze: access the catalyst components via a stainless steel v-band flange. Trips to the shop for custom cutting and welding are now a thing of the past!